Invokana (canagliflozin) is a Type 2 diabetes medicine. It belongs to a class of drugs called sodium-glucose cotransporter 2 (SGLT2) inhibitors. Invokana can cause patients to suffer amputations, diabetic ketoacidosis and kidney injury. Invokana is an oral medication used to treat Type 2 diabetes. It contains the active ingredient canagliflozin. Invokamet and Invokamet XR are part of the Invokana family of medications. They are combination drugs containing canagliflozin and metformin. These medications belong to a larger class of drugs called sodium-glucose cotransporter 2 (SGLT2) inhibitors. Invokana and other SGLT2 inhibitors control blood sugar levels by causing excess sugar to leave the body through urine. Studies show Invokana can cause the need for below-the-knee amputation. Other serious side effects include diabetic ketoacidosis, kidney injury, urinary tract infections and cardiovascular problems. People who suffered Invokana side effects are suing the drug’s maker. Invokana lawsuits accuse Johnson & Johnson of failing to warn patients and their doctors of serious risks linked to the drug. In March 2013, the U.S. Food and Drug Administration approved Invokana as the first drug in its class. The FDA approved Invokamet in 2014 and Invokamet XR in 2016. Invokamet XR is the extended release version of Invokamet. Johnson & Johnson makes all three medications. The company made more than $1.4 billion off the medicines in 2016. Johnson & Johnson has made $248 million from Invokana sales so far in 2018. But Invokana sales have dropped in recent years. The first quarter of 2018 showed more than a 12 percent decline, according to Nasdaq. Invokana slows down or prevents the body’s production of SGLT2. SGLT2 is a special protein in the kidney. It is responsible for 90 percent of the glucose in the kidneys. Instead of reabsorbing the glucose, the kidneys release it. The glucose then leaves the body during urination. This results in lowered levels of glucose in the blood. Invokana works by stopping the kidneys from reabsorbing glucose. Glucose is also known as blood sugar. Studies link Invokana to serious side effects. Side effects of Invokana can be fatal. Many side effects of Invokana require hospitalization, and intensive care or emergency treatment. The FDA requires a black box warning for an increased risk of leg and foot amputations with Invokana, Invokamet and Invokamet XR. This type of warning is the agency’s most serious warning. Invokana's label includes a black box warning about the increased risk for amputation. J&J sold Invokana to Americans for four years before adding the warning. Invokamet also carries a black box warning for lactic acidosis. The medication insert recommends starting Invokana at a dose of 100 mg daily. Patients prescribed Invokana should take the drug before the first meal of the day. If patients do not respond to 100 mg, doctors may prescribe 300 mg a day, according to the medication insert. Patients with kidney problems should only take 100 mg of Invokana a day. Invokana is not recommended in patients with serious kidney impairment. Invokana may interact with some medications, according to the medication insert. This means taking Invokana at the same time as other medications may make the drugs less effective. It can also cause unexpected side effects or increase the effects of a particular drug. Patients should give their doctor a complete list of medications they are taking before starting treatment with Invokana. Taking Invokana with these drugs may decrease the effectiveness of Invokana. Taking 300 mg Invokana with digoxin may increase the digoxin concentration in the blood. Taking Invokana with insulin may increase the risk of hypoglycemia – or abnormally low blood sugar levels. Invokana, Invokamet and Invokamet XR are not meant for all diabetics. The FDA has not approved the medicines for patients with Type 1 diabetes, or people with diabetic ketoacidosis (DKA) or a history of DKA. Patients with severe kidney problems should also avoid these medications. 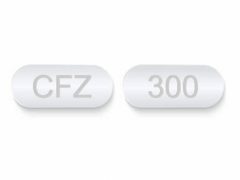 If you have a history of a serious hypersensitivity reaction to canagliflozin, you should not use these drugs. Invokana is not recommended during the second and third trimesters of pregnancy. Invokana affected kidney development in rats. This condition did not fully reverse within one month of a recovery period. There are no tests or data from pregnant women and risk cannot be ruled out. There are also risks to the mother and fetus associated with poorly controlled diabetes in pregnancy, according to the medication insert. These medications should only be used if the risk outweighs the benefit. It is not known if these drugs are excreted in human breast milk, but levels of the drug were found in the milk of rats. There may be risk to the developing human kidney if babies ingest milk with traces of these drugs. Because of the potential for harm to infants, Invokana is not recommended for women who are breastfeeding. This advisement is included in the medication insert. Before breastfeeding, mothers should talk to their doctors. The safety or effectiveness of these drugs has not been tested in children under 18. Clinical studies show that patients 65 and older typically suffer more side effects from these medications. With Invokana, patients suffered from low blood pressure, dizziness, fainting and dehydration. These side effects were especially apparent when taken at the 300 mg daily dose. The drugs were less effective in older people with poor kidney function. These drugs also caused more kidney failure in older patients. These side effects worsened for patients 75 or older. People with Type 2 diabetes may have many treatment options available to them. Some doctors may prescribe insulin shots, pumps or injectors. It’s important to take them as prescribed. All diabetes medications can cause side effects. Patients should discuss all options with their doctor before deciding on a treatment plan that works best for them. Certain lifestyle changes should be made as a part of any treatment plan for diabetes. The most basic recommendation is to eat a healthy diet. A balanced diet can help patients maintain a healthy weight. It can also help patients better control blood pressure, cholesterol levels and blood glucose levels. Doctors are likely to also recommend exercise or regular physical activity.